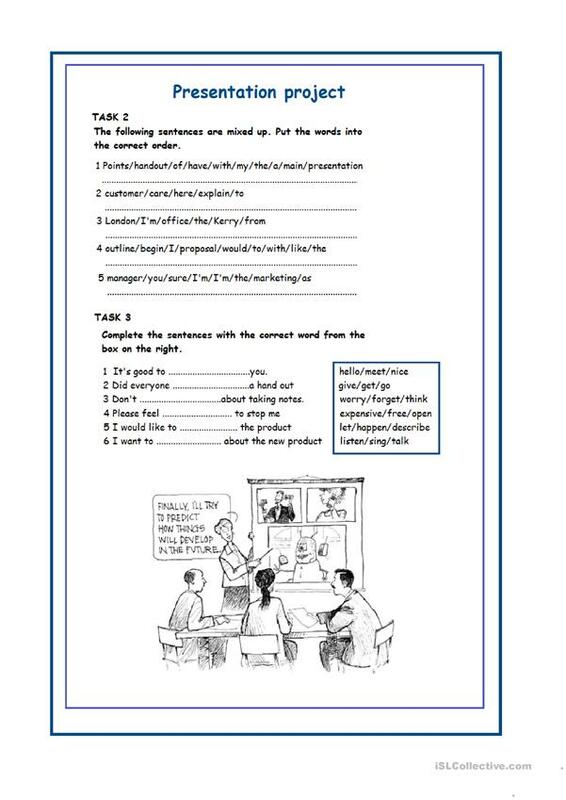 Targeting pre-intermediate/intermediate business English learners. 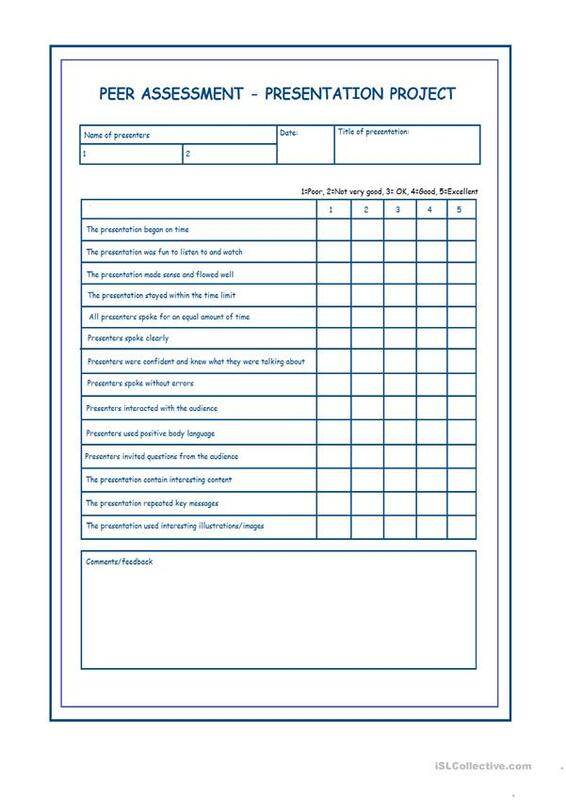 Provides advice, phrases and vocabulary, questions to embed certain phrases, presentation task and peer assessment form. 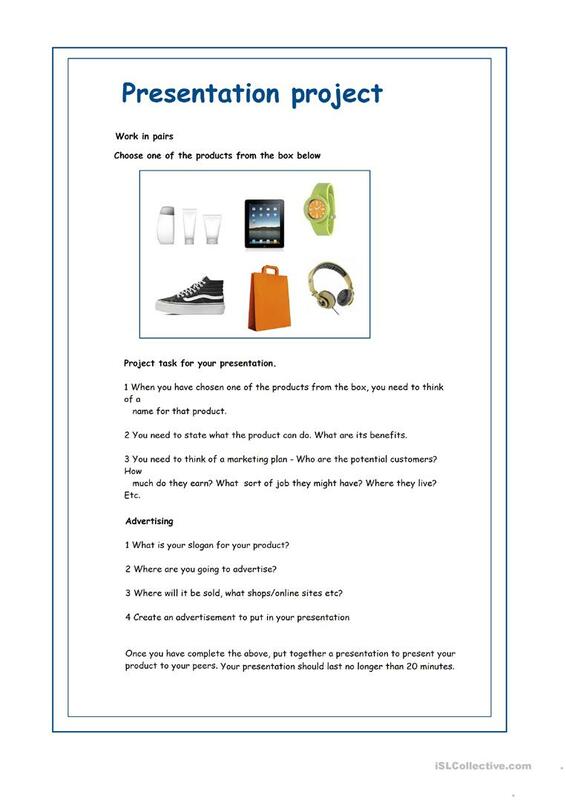 The present downloadable teaching material is a great resource for business/professional students and adults at Pre-intermediate (A2), Intermediate (B1), Upper-intermediate (B2) and Advanced (C1) level. 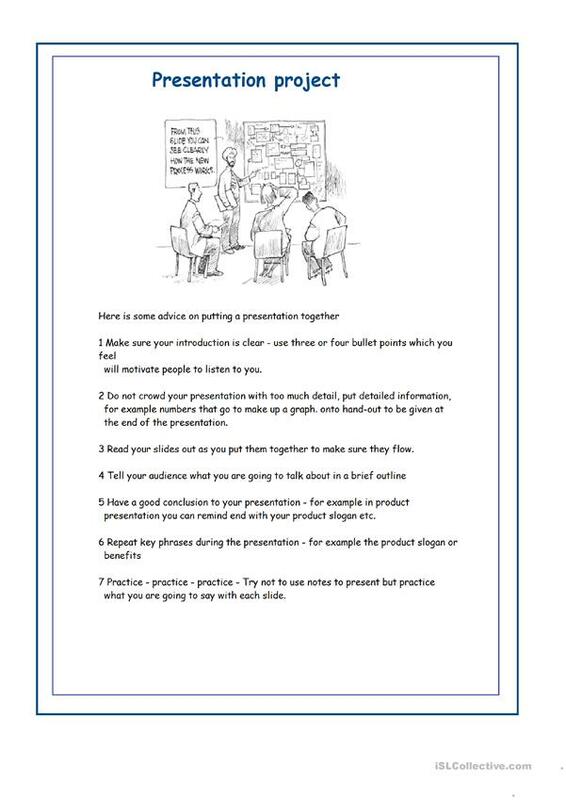 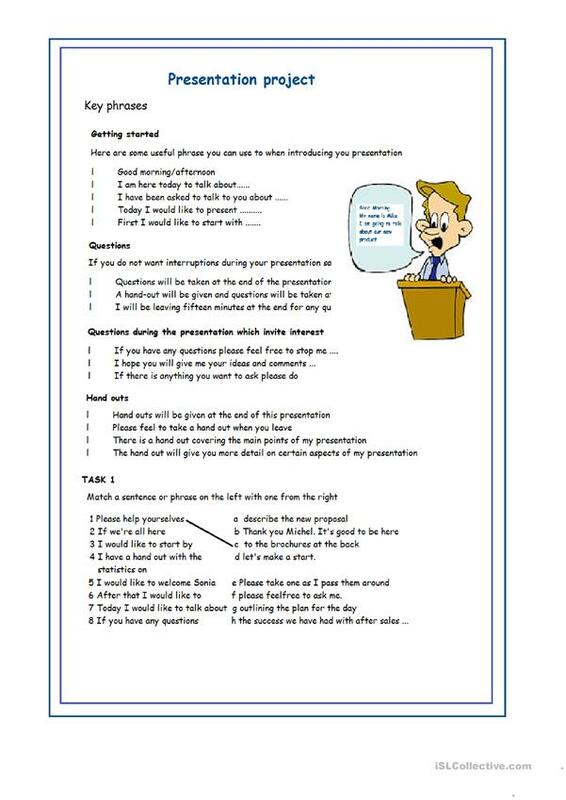 It can be used for honing your learners' Listening, Spelling, Speaking and Writing skills.